The many (up to 25) 2-4" / 5-10 cm flowers are nodding (down-facing), Turk's cap style (with the petals strongly recurved). The stems are tall and have whorled leaves. 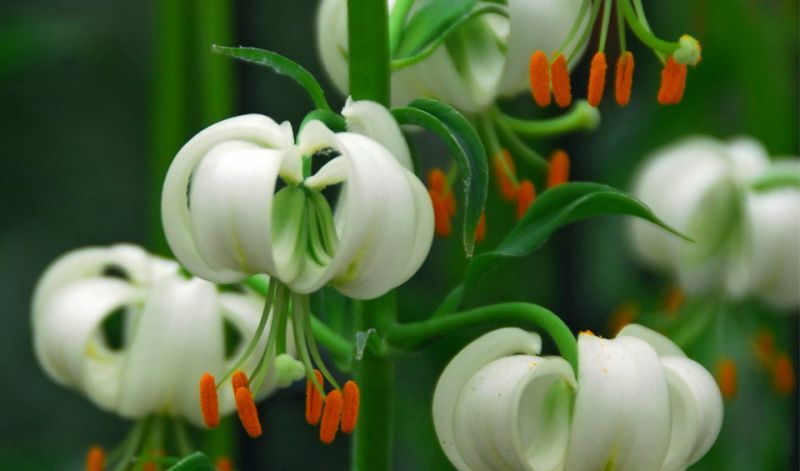 Martagon lilies are quite decorative and suitable for the woodland garden. It may take them a year to get established but then they will thrive for years to come. In borders, beds, perennial- and woodland-gardens, pots and containers and as cutflowers.